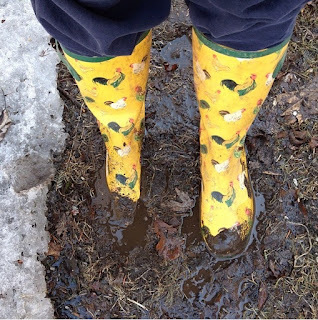 Quilting Adventures: Mud ... Glorious Mud! That is the bad thing about the thaw, we have had a lot of rain, so the ground gets muddy. The bad thing is, Bean doesn't care and i have to clean him, every time he goes out to play.